Forget whitening pills, the new trend in the beauty world these days? Pills that contain UV protection. They're called Ultra Care capsules (from skincare brand Heliocare), which work like a daily supplement. Each pill contains a natural plant extract called Fernblock, responsible for protecting the skin from the sun's UV rays. A nice bonus: It also contains 1. Vitamin C, which helps your body produce more collagen (hence, less wrinkles! ); 2. Vitamin E, an antioxidant that repairs your skin; 3. Lutein, another antioxidant found in green, leafy vegetables, which improves the skin's elasticity; and 4. Lycopene, which also protects your skin from UV rays. 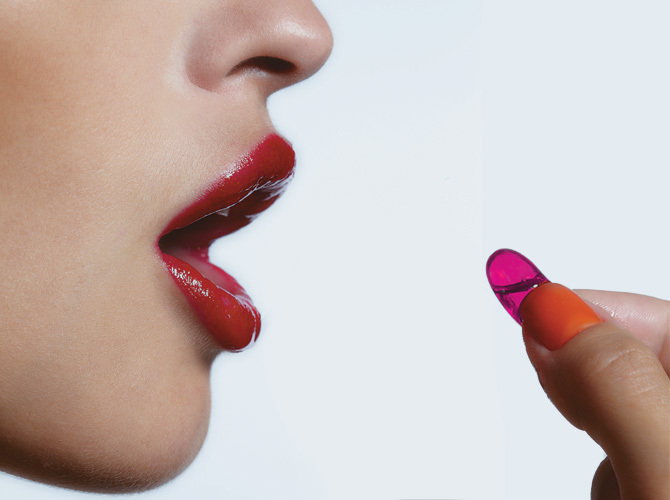 Basically, it's the Holy Grail of anti-aging capsules. But despite the promise of it protecting your skin from the sun, Zaidy Zagala-Velasco, M.D., an associate physician at the Belo Medical Group, says you still need to slather on sunblock. "These are only antioxidant pills that help repair photo damage caused by the sun exposure, so it doesn't physically protect your skin from the harmful UV rays." Each bottle, which contains 30 capsules, retails for P2,800—a hefty price to pay, especially for beauty supplements. But hey, anything for glowing, healthy, #nofilternecessary skin, right?